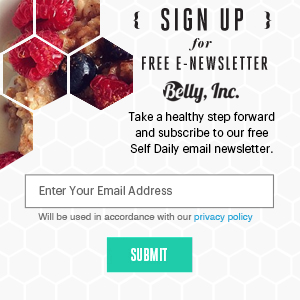 The Internet and the Rise of Belly Positivity - Belly, Inc.
We live in a world where even healthy people obsess over how their midriff looks; and what others will think of it. We are surrounded by tummy-toning messages every day: “get your body beach-ready”, “5 simple tips for perfect abs”, “cut your belly fat in 20 days”. This constant tirade of propaganda can easily lead to the belief that ‘fat’ is bad or shameful and that we must all strive to achieve some standardised ideal or be judged as lacking, lazy or unlovable. As an overweight person myself, I find this very easy to understand. I’m embarrassed to have to buy larger clothes, horrified at the thought of my friends knowing my size. My belly bothers me, perhaps more than anything else about my physicality, probably because it is always there. It can be dressed and disguised in various ways, but never completely hidden. Every time I look down, it reminds me that I don’t fit the toned, athletic Hollywood ‘ideal’. In reality, few of us look like that, and there is really no reason why we should. We don’t have to look far in space or time to find completely opposite attitudes. In ancient times of course, a plump body was considered inherantly attractive because it implied fecundity, plenty and thus evolutionary success. Bollywood movies still celebrate a curvy body and a belly with a bit of jiggle, reflecting a society that appreciates that body shape. It’s easy to see that what is considered ‘conventionally’ attractive, or even healthy, is culturally variable. Of course, what each of us individually considers attractive is even more variable. Recently, many people are finding great comfort and inspiration in bloggers like The Print Fiend’s Julia and vloggers such as Loey Lane and XBrittney89. These women are bravely confronting their society’s oppressive norms, simply by posting their own videos or images with details of their own body struggles, worries and insecurities, accompanied by clothing hauls, OOTD’s and other fashion subjects. And you gain even more respect for these women’s bravery and dedication when you look at the comments their posts receive. There are always dozens of people thanking them, telling them how they have inspired others to love their bodies and how amazing they look. On the other hand, there are always others there to body-shame and offer ‘helpful advice’, assuming that these women MUST want to change, that they need advice and guidance on how to become more like the ideal the commenter wants them to be. But not everyone does. Some people love their bodies as they are and don’t want to change, and others are coming to terms with being unable to. Losing weight is not an easy thing, and combined with other factors such as mental health, dietary requirements and other physical conditions it can be close to impossible. Some may be aiming to get slimmer as part of being more healthy in general, but that doesn’t mean they hate their bodies as they are now. Some people just have bigger priorities in life. Health-policing is a particularly pernicious form of body-shaming because it is disguised as compassion. It is judgement and spitefulness wearing a mask of concern and helpfulness, and as such is incredibly difficult to speak out against. They’re just trying to be KIND, of course. But it’s not kind. In the vast, vast majority of cases, overweight people, know that they are overweight. They know whether or not they are healthy and how their lifestyle affects their health. They don’t need to be repeatedly told and ‘educated’ by strangers who, in actuality, are really just indulging their desire for others to conform. Being constantly reminded of how you fail to fit in is not good motivation for living a healthier lifestyle, and having unsolicited comments about your looks flung at you from strangers – apropos of nothing – can be unnerving, distracting or even degrading, regardless of the commenter’s intentions. There is, as always, a fine line to tread. Supporting or being attracted to larger figures is fine or even good, but not when the figure in question doesn’t want to be larger. When does supporting all body shapes and sizes become a barrier to wanting to make a change for yourself? Inevitably, the internet shows us people who take the body positivity message to the extreme, people who ‘thin-shame’, or who attack big people who are trying to lose weight as ‘traitors’. In an environment where all views can be expressed, there will always be voices on the extremes that catch our attention. For the most part, though, the body positivity movement focuses on health, happiness and wellbeing. People with a little bit of chub or jiggle are reassured that their bodies are normal, functional, healthy and attractive just as they are. Take a look at functionally fit people such as firefighters or members of the forces: they’re not stick thin or body-builder toned, they are real, hard-working humans with enough essential body fat to provide them the fuel and protection to perform at their best. For the larger people, body-positivity provides a valuable window into how to embrace themselves and enjoy who they are now, which will make them more likely to succeed at becoming who they want to be. Now that we are being freed from listening only to whatever ‘the media’ wants to tell us, and we all potentially have instant global access to just as wide an audience, people are beginning to break away from homogenised ideals and to embrace diversity in the types of bodies that achieve visibility and by making more body types visible, we validate other personal tastes and lifestyle choices.